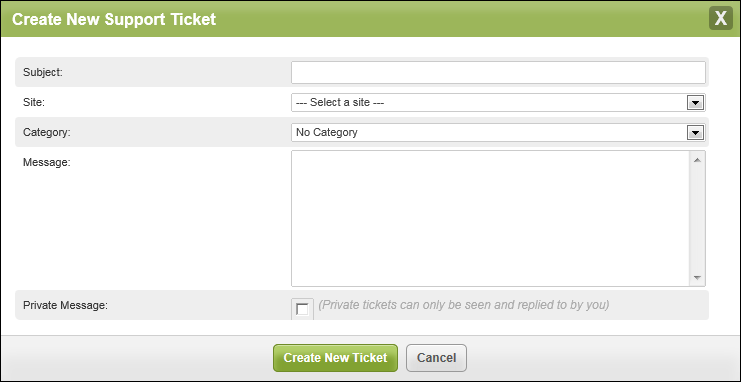 Use the support console to create support tickets and manage all your outstanding and closed tickets. While logged into Endpoint or GSM, click the Support tab. 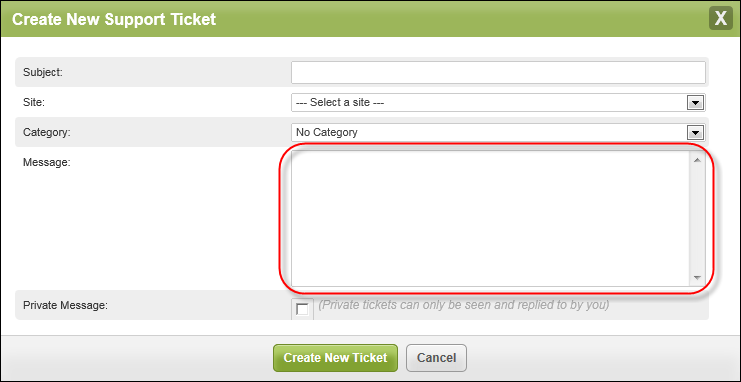 The Support panel displays, with the Open Tickets tab active. Click the Create New Support Ticket button. The Create New Support Ticket window displays. 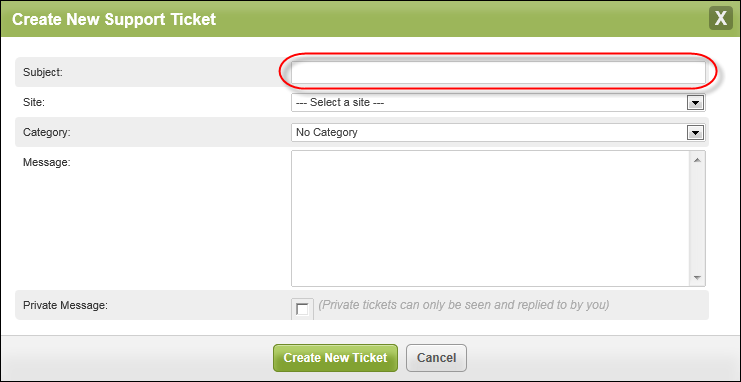 In the Subject field, enter a name for the issue you are creating a ticket for. The name of the site the issue relates to. Non site-specific query, if this query is not related to a specific site. All non site-specific queries are assigned to your parent site to help you find them in the future. 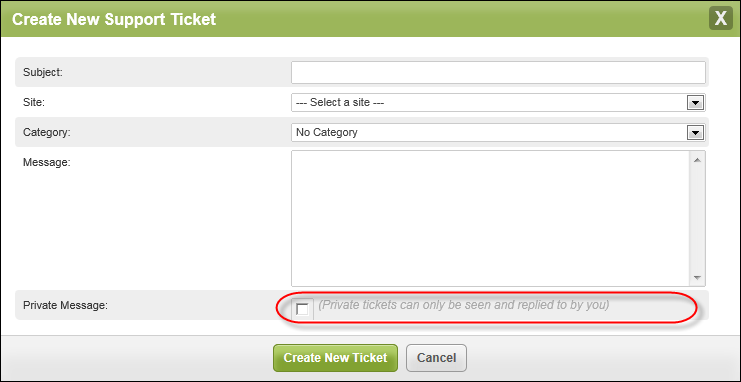 In the Message field, enter a description of the issue this ticket relates to. 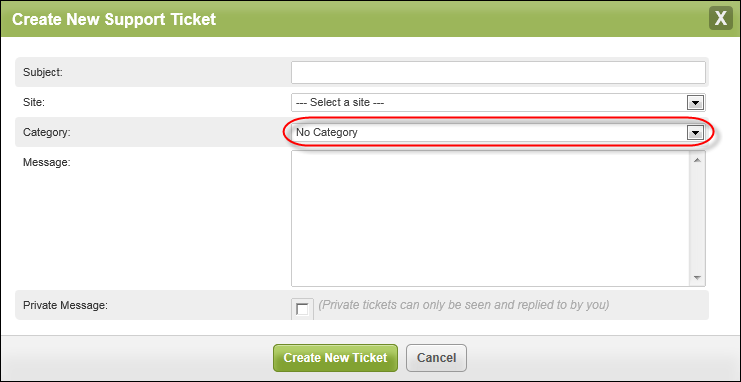 If you do not want your ticket to be visible to other users who have access to the site this ticket is raised against, select the checkbox. 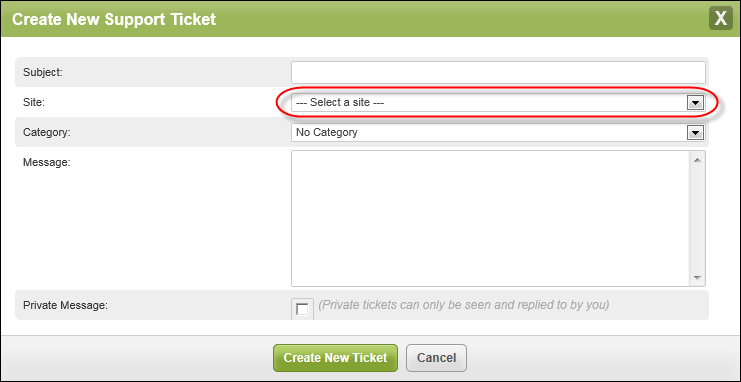 If you want your ticket to be visible to other users who have access to the site this ticket is raised against, do not select the checkbox. 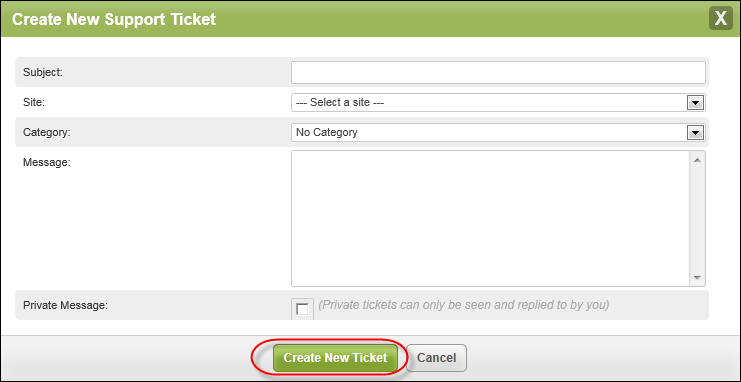 Click the Create New Ticket button.